We’re quickly moving towards a world where flexible workplaces are viewed as the norm. Nearly half (49 percent) of the 1,000 employees who responded to a recent survey said that flexible working was the most important benefit to them. This demand has been mirrored by the changing attitudes of employers, with 50-60 percent admitting that flexible working is a vital component of any job specification, compared to only 40 percent in 2012. Tech firms are leading the way in flexible working practices, with 81 percent of employers offering flexibility compared to just 66 percent in other industries. But just because lots of other tech companies are offering flexible working arrangements, that doesn’t necessarily mean they’re right for you. In this article, we’re going to take a look at the different types of flexible working arrangements technology firms can introduce and the benefits they might help you realise, as well as some potential pitfalls. 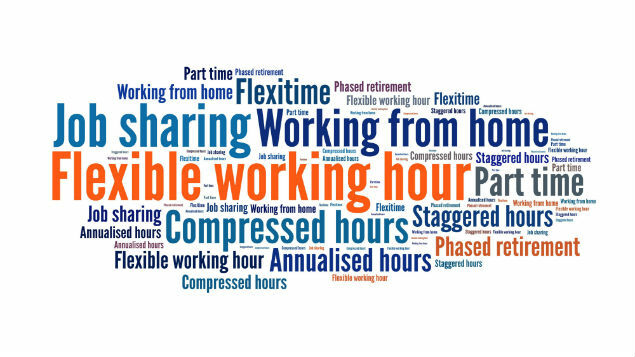 Flexitime – This is one of the most common flexible working arrangements. It allows employees to choose when they start and finish work, usually at either side of ‘core hours’ when the business is at its most active. Compressed working week – This arrangement allows employees to compress their standard working week into fewer days while still working the same number of hours. For example, a five day, 40 hour week could be compressed into a four day week of 10-hour days. Flexiplace – This type of arrangement gives employees some freedom about where they work. Rather than working in the office, employees may be able to spend one or two days a week working from home. Job sharing – This allows two employees to share the duties and responsibilities of a single full-time position. The salary and benefits are shared on a pro-rata basis. Work sharing – Tech companies that want to avoid making redundancies might choose to temporarily reduce the working hours and salary of a number of employees. Extended leave – This option gives employees greater flexibility to request extended periods of leave but still return to their jobs. This can be granted on a paid or unpaid basis and is often used for educational purposes, sabbaticals and medical problems. Childcare programmes – Although still relatively rare, an increasing number of larger organisations are offering some assistance in terms of childcare, such as providing in-house facilities where the children of employees can be looked after. What are the pros and cons of flexible workplace arrangements? Improved employee retention – Employees are less likely to leave a job that gives them some degree of workplace flexibility for one that does not, even if they have been offered a better salary. Attracting younger workers – Younger workers who have grown up with technology are more likely to expect workplace flexibility. According to the Deloitte Millennial Survey, 84 percent said their employer offered some degree of flexible working. Matching the peaks of activity – Flexible workplace arrangements give employers the opportunity to match natural shifts in their activity with employees’ schedules. Reduced absenteeism – Flexible options can strengthen commitment and give employees more time to handle the situations that can lead to absenteeism. Less money spent on bonuses and wage rises – Flexible workplace arrangements do not necessarily have to come at the cost of wage rises and bonuses, but as one of the most sought-after workplace benefits, they can act as an important bargaining chip. They’re not always a good fit – Flexible working can present new challenges to a business that it has not previously had to address. For example, flexiplace arrangements may not be suitable if employees cannot be trusted to do a full day’s work. Flexitime can leave you understaffed – If everyone decides to ‘flex’ in and out of work at similar times then business functions like customer service can suffer. Communication and collaboration can suffer – While technology makes it possible for workers to be in touch remotely, sometimes there’s no substitute for a face-to-face meeting or an open exchange of ideas. YOU MAY ALSO LIKE TO READ : DIGITAL TRANSFORMATION, WHAT’S NEXT? After 26 weeks of employment, all employees have the right to make a flexible working request. While your initial reaction might be refuse such a request, the benefits for employers and employees mean it’s certainly worth giving careful consideration. However you work, at LynxPro, we have a wide range of prospective jobs and talent positions across the tech spectrum. For more information, please get in touch with our team today.